Finding the best carpet for your home starts out simple and quickly becomes complicated. You know you want something that will look good in your home, feel great, and most importantly, stay that way for years to come. So you go to the local carpet store or home center and that's when it gets complicated. Unlike shopping for cars or clothes, a lot of different carpet styles look very similar, yet prices vary and there's a reason for that. The fiber that is used to make the yarn that is then made into carpet is where the difference starts. How that fiber is made into yarn is the second determining factor and how it is then tufted (sewn) into carpet is the next key difference. Once the fiber has been extruded it is bundled together and twisted into a yarn and then heat set to lock in the carpet fiber's shape. Hundreds of needles arrayed across a machine sew the yarn into a backing. Later, a second backing will be attached to give it additional strength and stability. Cut Pile Carpets, depending on the type yarn, can look smooth (Saxony) or slightly textured (textured saxony or textured plush) or as though the surface is covered by very curly ends (frieze). Cut pile carpets are extremely versatile and are commonly used in bedrooms, living rooms, dining rooms, dens and great rooms. The more textured or twisted yarns the less they will show foot prints and vacuum cleaner marks. Cut pile carpets are constructed from either staple fibers or bulk continuous filament (BCF). Staple fibers can cause pilling at first after installation. That is because staple yarns are made up of short cut fibers that are spun together just like wool. Saxony styles are more traditional and can show footprints and vacuum marks. Textured Saxony styles are versatile and more casual than Saxonies. They help hide footprints and vacuum marks. Friezé styles are more informal, but very durable and minimize footprints and vacuum marks. Loop Pile Carpet has a knobby appearance made by each tuft being brought back into the backing. Loop pile carpets are generally more durable than cut pile styles. Loop pile carpet can be made up of level loops (all the same height) or multi-level loops to form a pattern or add more texture. Cut and Loop Carpets (also called cut & uncut) feature a combination of both loops and cut pile yarns that are used to create patterned designs. Patterned carpets can help hide traffic patterns in a room as well as give the floor a more interesting visual appearance. For example, a family room or rec-room may be the perfect place for a patterned cut and loop carpeting, especially if the room gets a lot of traffic. Color is added to carpet in two basic ways. The fiber can be "solution dyed", which means the color pigments are mixed in with the liquid polymers producing fiber strands that are colored all the way through—just like a carrot. Or, the carpet fibers are made first into white synthetic fibers, then topically dyed which leaves the color on the surface of the fibers—like a red radish. Since the color goes all the way through the solution dyed fibers, any solution dyed carpeting will have superior fade and bleach resistance. This can be important if the room has a lot of sunlight coming through the windows and you are worried about fading. For resilience (the ability to stand up to traffic), nylon is the best carpet fiber. But, nylon is inherently prone to staining which is why most nylon carpets are coated with stain and soil resistant treatments that may need to be replaced eventually after repeated cleanings. Through advancements in carpet technology polyester has made great strides as a carpet fiber, especially P.E.T. (polyethylene terephthalate) polyester fibers. The fiber is made from P.E.T. chips and some from recycled plastic containers. P.E.T. fibers are much stronger than the old polyester and offer much better performance and stain resistance. Recently a new fiber has been created called: Triexta and was been approved by the FTC in 2009 as a new fiber type. Triexta is a PTT polmer, also known as (poly trimethylene teraphthalate), and offers exceptional durability, softness and stain resistance. Fibers made from triexta are used in carpet, apparel fabrics and automotive flooring. Polypropylene (also referred to as: olefin) is a type of solution dyed fiber that is naturally stain and fade resistant, but has the poorest performance of all the carpet fiber types when it comes to resiliency. The best performing construction for polypropylene carpets is a very tight loop in a low-to-mid pile height. There is a growing demand for carpets with a very soft hand, often referred to as "soft carpets". Soft carpets can be constructed from either nylon, Triexta or P.E.T. polyester fibers and each fiber type offers certain advantages. All the major residential carpet brands and retailers offer a wide array of soft carpeting styles today. Some soft carpets are so soft they require special vacuum cleaners. This is where your local, specialty carpet retailer can really help guide you through the selection process. See the WFCA's carpet store locator for highly trained, local carpet retailers that have the experience and industry knowledge to help you select the best carpet for your specific situation. The best carpet for a bedroom depends on whose bedroom it is. 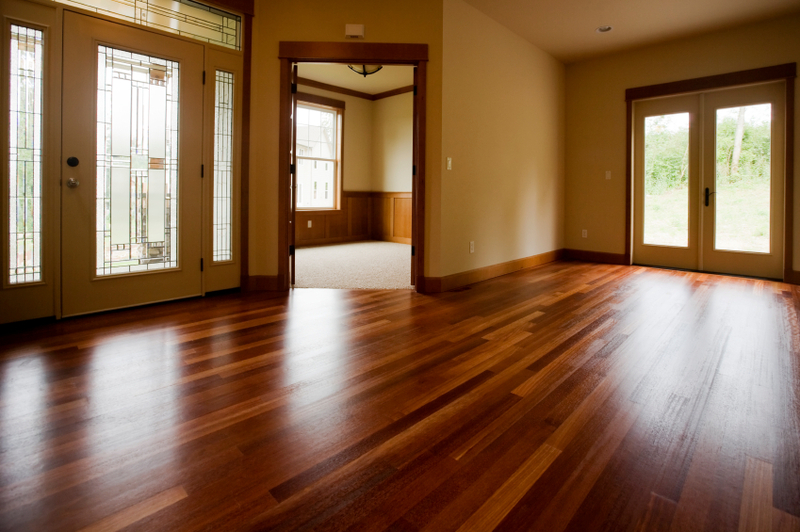 A master suite or a guest room will likely not have a lot of traffic or a lot of soiling and or staining. A child or teen may be much harder on their bedroom carpet. For an adult bedroom, just about any fiber in a plush or texture style will perform well. The new soft carpets are a good choice for a luxury feel underfoot. If you are on a budget, soft polyester might be a good choice. A kid's bedroom, with a greater likelihood of spills and soil, calls for a stain resistant nylon, or an inherently stain resist polyester carpet fiber. Keep in mind that solid color carpets are less forgiving of soil, stains or any little crumb dropped or bit of lint. Carpets with a multi-color construction for a heather or tweed look will not show small bits as much and pattern carpets are also much more forgiving. Your lifestyle and personal taste are key factors in choosing the best carpet for living rooms. In busy families with children and pets, the living room will get the most use. To be ready for staining, it is best to have a solution dyed or stain treated product with some type of odor treatment in these rooms. The weight of furniture is also a consideration. Formal living rooms are well served by classic cut pile saxonies or a sophisticated cut and loop patterned carpets. A textured plush carpet will work well for a more casual lifestyle. What is the Best carpet for Family Rooms? Family rooms in active households with kids and possibly pets demand carpets that are stain and soil resistant and constructions that can standup to a lot of traffic. Dense textures and loop pile products will handle the traffic. Multi-colored, textured looped carpet styles are a great choice for active areas, such as family rooms, because they will be more forgiving of tracked in debris and everyday mess. What is the Best Carpet for Dining Rooms? Triexta, P.E.T. polyester carpets with inherent stain resistance, solution dyed nylon carpets, or nylons with advanced stain resist properties are recommended for dining rooms. Products that feature anti-microbial and other topical treatments are also advised to protect against spills. What is the Best Carpet for Hallways & Stairs? Stairs and high traffic areas can be covered in a low, dense pile carpet. Because it is the most resilient fiber, nylon products are recommended in pulled down textures or level loop constructions. The bottom of the stairway and the top landing can be extremely tough on carpeting because that is where people usually turn their feet which causes additional stress on carpet. This is where a low profile, extremely densely packed carpet can really add to the life expectancy of the carpet. Carpets made of polypropylene in a dense, multi-color loop or level loop constructions are a good choice for basements. It is also recommended to use a good quality carpet cushion underneath the loop pile carpet to help the overall life and performance of the carpeting.